Payroll, Benefits and Workers' Comp for Less! Discounted workers' compensation premiums, plus no audits or down payments. Assistance with unemployment claims, workplace conflicts, drug testing and risk management. Free direct deposit and payroll checks, tax deposits and filings, garnishments, reports and job costing. Reduced rates on group health insurance, 401(k) plans, supplemental, dental and vision insurance for your employees. Also known as employee leasing, a PEO can transform your organization by streamlining your HR services, payroll and insurance by consolidating multiple vendors to one. 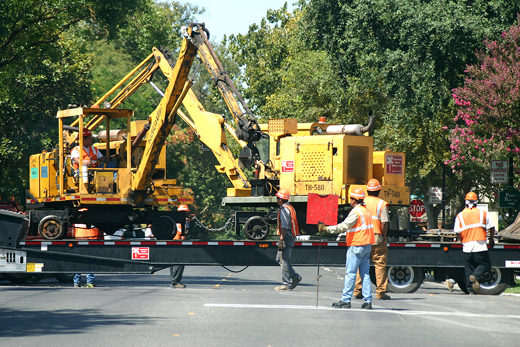 PEOs vary widely in their offerings and pricing for the road and bridge construction industries though. Some services like employee handbooks, or drug testing are included in costs, while others charge as an additional fee. Call Employee Leasing Quotes for questions, pricing and proposals. Since 2001, we've made the process of finding a PEO that can deliver the benefits your business needs easy. We're here to help.